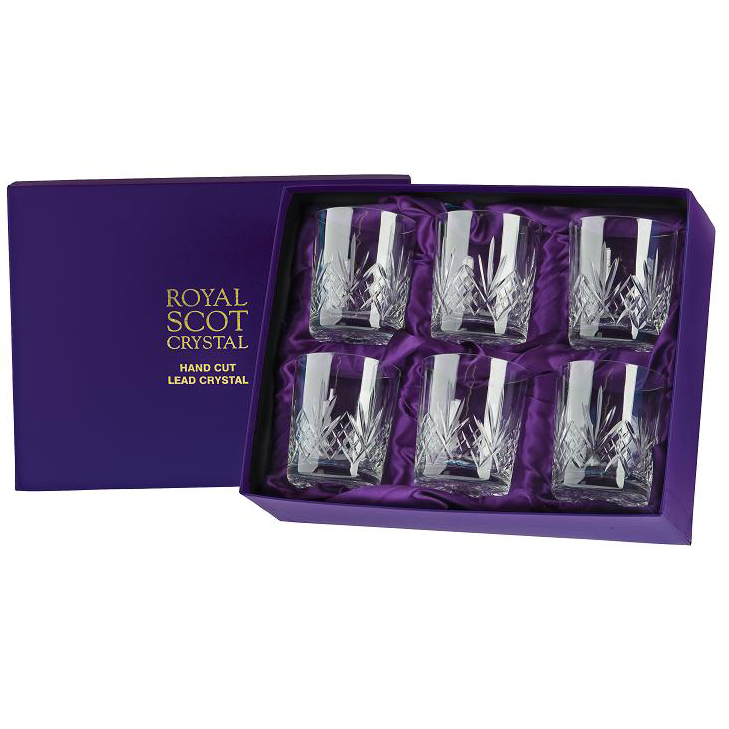 Presentation Box (purple) of 6 Highland Large Tumblers The traditional hand cut diamonds and fan design embodies the spirit of the glassmaker. This distinguished wine suite was inspired by the Highlands of Scotland. The Royal Scot Crystal Highland Large Tumbler is perfect for drinking spirits with mixers, a large whisky with water and/or ice or just as a cut crystal water tumbler. Alternatively if a smaller measure is preferred have a look at the Highland Whisky tumbler...The perfect gift for someone who appreciates fine Whisky. Supplied in luxury purple satin lined presentation boxes.